Tungsten rod, also known as tungsten bar, is of high-purity, high-density and excellent high-temperature, proving no deformation. We can offer different surfaces tungsten rod like black surface, alkaline washed surface and polished surface. Black surface is "as swaged" or "as drawn", retaining a coating of processing lubricants and oxides. Alkaline washed surface or cleaned surface tungsten rod is chemically cleaned, removing all lubricants and oxides. Polished surface or ground surface removes all coating to achieve precise diameter control. 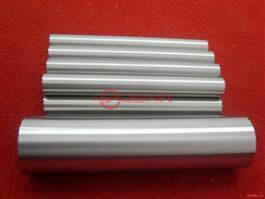 Sintering tungsten rod, as the material, is mainly used in pulling tungsten wire and forging tungsten rod. It is widely applied for tungsten crucible's supports in the sapphire growth furnace, electrodes, heating elements, connections and support rods in high-temperature furnace, electrodes in the rare earth metal industry and electric light source parts and electric vacuum components. 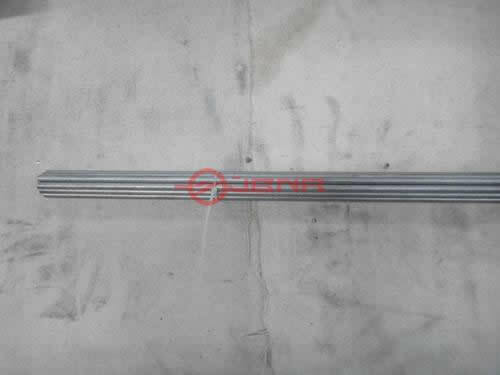 Besides, tungsten rods can also used as ion implantation parts. We pack tungsten rod in iron bucket or plywood case and send them by ocean or air. Founded in 2008, Zhuzhou Jiabang Refractory Metal Co., Ltd. specializes in producing tungsten product, such as tungsten rod (tungsten bar). Due to mature manufacturing technique and effective quality control, our tungsten products are stable in quality. If you are interested in this product, we will provide its price for your reference.